Alice Woodstock has her life under control. She’s successful and she’s happy – as long as she continues to ignore the hurt from her past. But when said past walks back into her life in the shape of Leo – the man who broke her heart – Alice is desperate for an escape route. She finds the perfect thing – a new job as a tour guide in a Regency stately home. But as she immerses herself in acting out the stories of the house, Alice begins to see parallels with her own life, forcing her to confront her feelings about what she wants and, finally, live in the real world. 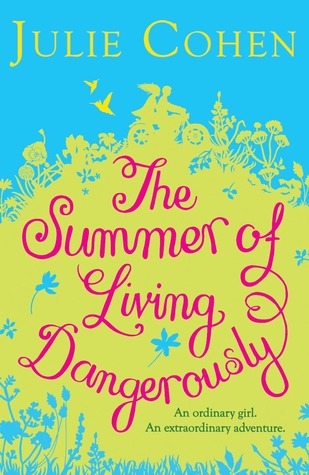 My review: Julie Cohen is fast becoming one of my favourite women’s fiction authors. She has a fantastic way of really bringing her characters to life, their entire lives with a great supporting cast! The premise of this book is every ‘Jane Austen reading’ girls dream, I can’t think of anything better than to spend a summer as a re-enactor in a stately home, playing out the summer of 1814. So not only did I learn lots about the period from reading this book but it was the perfect escapism for book lovers! Cohen has a brilliant way of playing with her reader’s emotions. Half way through I could’ve told you the ending and how much I raged against it, I didnt want it to play out like that, I was unhappy with the relationship choices. But by the final page, I had made a complete 180, I loved the ending, it was as I had predicted (with all the little twists that keep it interesting) but I didn’t mind one bit. There were a few odd bits that didn’t jibe for me but I don’t want to mention them as I believe they were personal taste things rather than things that need mentioning in a review. So whilst Getting Away With It is still my favourite in the Cohen list, this was a very worthy, skilled edition. 6.5 out of 10 stars ******.5!